Wildlife Fine Art---Robert , thank you for the fave! Thank you for feature in CAMERA ART! Doug Thank you for feature in Animal Photography! Malanda--thank you for your kind comments and the l/f! 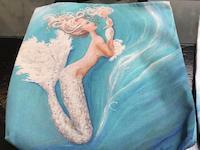 Cindy---thank you for the fave! Marilyn---thank you for the fave! Thank you Robert---appreciate the feature in 'Your Very Best Photography'! Marilyn---thank you very much and for the l/f! Mia---thank you for the feature in Big Sky of Art! Anita---thank you for the fave! 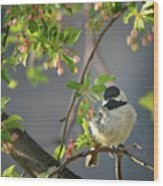 Sharon---thank you for the feature in Birds of the World! Anita--thank you for the fave! Anita---thank you for the feature in in Poetic Poultry group! Beth---thank you for the feature in All Natural Beauty of this World! 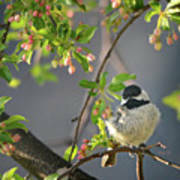 Anita---thank you and for the feature in Poetic Poultry! Sharon---thank you and for the l/f/t! 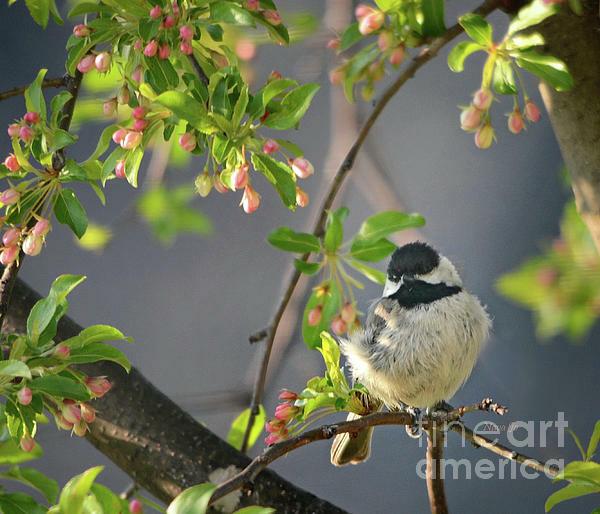 A photo made by Nava Thompson of a little Chickadee taking a moment in the spring blooms, The tree is a variety of pear and flowers with pink buds and white flowers. Beautiful!